S. K. Williams Property Cleaning Services provide commercial window cleaning in Telford, Shrewsbury, and as far afield as Stafford, Cannock, Welshpool, Church Stretton and Ludlow. We are specialists in high-level window cleaning on multi-storey properties. We are members of the Federation of Window Cleaners, are fully insured and have an excellent health and safety record. We also carry out subcontract window cleaning for large or small cleaning companies. Our window cleaners can offer office and commercial window cleaning as often as you would like, from daily cleans of your reception area to one-off builders cleans and everything in between. We also offer a canopy and fascia cleaning service on retail parks and the like. Our window cleaners can carry this out for you at your convenience including out of normal working hours to prevent interfering with your business and reduce the risk of our cleaners working in busy public areas. S K Williams Property Cleaning Services have cleaned our windows for over 10 years now at Offas Dyke Business Park, Welshpool. 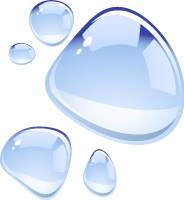 Their approach has always been friendly, efficient and the professionalism is second to none. They have always left our offices looking immaculate. There would be no occasion where I wouldn't recommend Steve and would definitely use him on other properties we purchase in the future. We are glad to carry out the ongoing window cleaning and fascia cleaning at Madeley Academy, Telford. Boots, Telford & Wrekin Services, Fishmore Hall Hotel, Galliers Builders Ltd, New City Cleaning Ltd, Network Telecom UK, The Wrekin College, Ladygrove Primary School, London-based Wellcare Management Ltd, Liebherr, Dechra Pharmaceuticals, Carter Jonas, prestige wedding venue Iscoyd Park and the DRB Thompson Hardwicke Estate. During August of 2014 alone, we cleaned the internal and external windows at Lilleshall National Sports Centre, Shrewsbury Prep and High Schools, Phoenix Academy, Telford and the window and fascia cleaning at Madeley Academy, Telford. We also offer our window cleaning in Telford, Shrewsbury, Newport, Shifnal, Stafford, Cannock and surrounding areas to cleaning companies, offices, factories, nursing homes, schools and colleges, hotels, shops and restaurants. We are members of the well respected Federation of Window Cleaners. We hold the well accredited IOSH Working Safely Certificate instilling within us a safe work ethic and enabling us to provide accurate Risk Assessments and Method Statements for window cleaning. 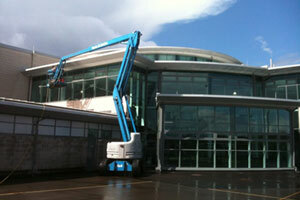 We hold an IPAF licence allowing us to clean windows at heights of 110ft using cherry pickers and mobile platforms. We also hold full £2 million public liability insurance for window cleaning. For more information regarding window cleaning out of normal hours, or to arrange a window cleaning quote. As well as commercial window cleaning in Telford, Shrewsbury, Stafford, Cannock, Welshpool and surrounding areas, we also other cleaning services. These include gutter cleaning, solar panel cleaning, block paving cleaning, patio cleaning, driveway cleaning, decking cleaning, block paving sealing, patio sealing, driveway sealing, decking sealing, tarmac restoring, tinting and sealing & imprinted concrete restoring, tinting & sealing.